Induction Seal Liner can also be known by different names such as Heat Seal Induction Liners or Heat Seal Liners. They mainly make use of the Induction Sealing process. Induction Sealing is the method that involves the bonding of thermoplastic materials by inducing heat in them. The use of the above methodology takes places in the process of cap sealing. In this process, the seal is formed at the opening of any container or bottle with the help of heat. The seal used can be made of up from a combination of the following materials like aluminum, plastic, foam etc. The machinery that makes the use of cap sealing process is known as Induction Cap Sealing Machine which can be further classified as either automatic or semi-automatic cap sealing machine. 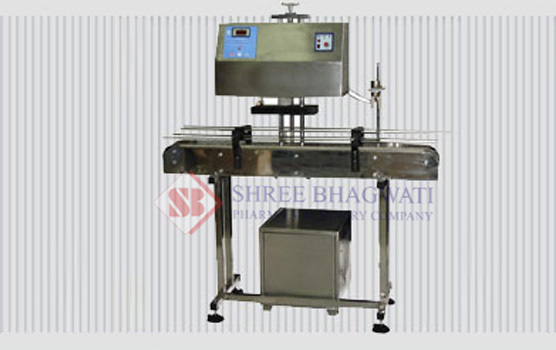 These machines create a hermetic seal on the top of any plastic or glass containers which are useful in preventing product leakage, preserving product goodness and also preserve the shelf life of any product very effectively. Hermetic seal is the type of seal that makes any product airtight. Leakage Prevention: It prevents the leakage of any liquid material that is to be packed and to be delivered. The various products like oils, sauces, chemicals, medicine etc., can be saved from any kind of leakage and spills. So it not only prevents the leakage of any product but it also provides protection from product leakage. Fragrance Retention: There are several cases in which retaining the fragrance or aroma of any product is very important and it really helps to a great extent. The product fragrance must not be weaken, fully faded or mixed up with some other fragrance until the product is used by the end users. Preserving active ingredients: Some special ingredients are used sometimes in products for some valuable purpose. Their values are not lost since it will not have any contact with air or any atmospheric factors and can be preserved for its specific use. Sealing in factory freshness of the product: The freshness of any product is preserved since it keeps away the entrance of any unwanted pollutant into the product. The product fragrance and active ingredients are also preserved so it can remain fresh for a long time. Extends the shelf life of the product: It can help any product to stay fresh for a long period of time without making use of any artificial ingredient or preservative and also increases the shelf life of the product. Provides the tamper evidence prevent any product pilfering: Any consumers on seeing product packaging can easily ensure its purity. If the seal tampers the consumers can easily recognize that something wrong has happened with the product and can decide whether they have to buy it or not. The consumers can be convinced of the integrity of any product whenever their seal is intact. Prevent the contamination of the product: As it provides an airtight packaging to the product. It protects the product from coming in contact with air, moisture, water, the pollutant from entering the packaging which helps to restore its original quality and taste of the product. The induction cap sealer is an efficient technique with enhanced sealing capacity that has minimal waste and also maintains the aesthetic appeal of package.